As you may of read in last weeks blog post Mia & I were on a little holiday last week, We had such a great time! We went to the zoo, the aquarium, ball parks, walks on the beach! It was such an amazing week. While we were there we popped into Norwich Town and it was so huge, I couldn't believe it. In the Waterstones store I happened to come across this book, now I saw this months ago on one of Zoella's monthly favourites videos but never really thought anymore of it, until I saw it here! My mum brought the copy in the store there and then and I ordered this one straight away off Amazon for £6.99. 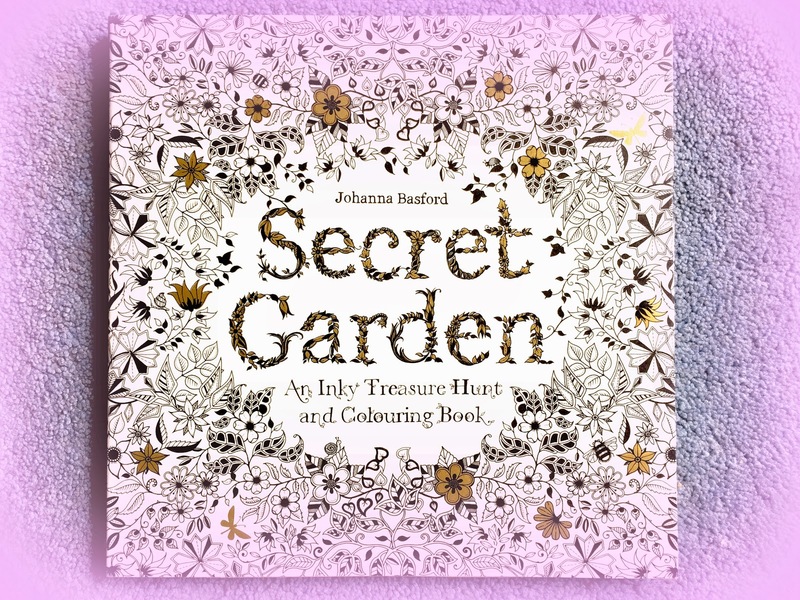 Secret Garden - Johanna Basford! 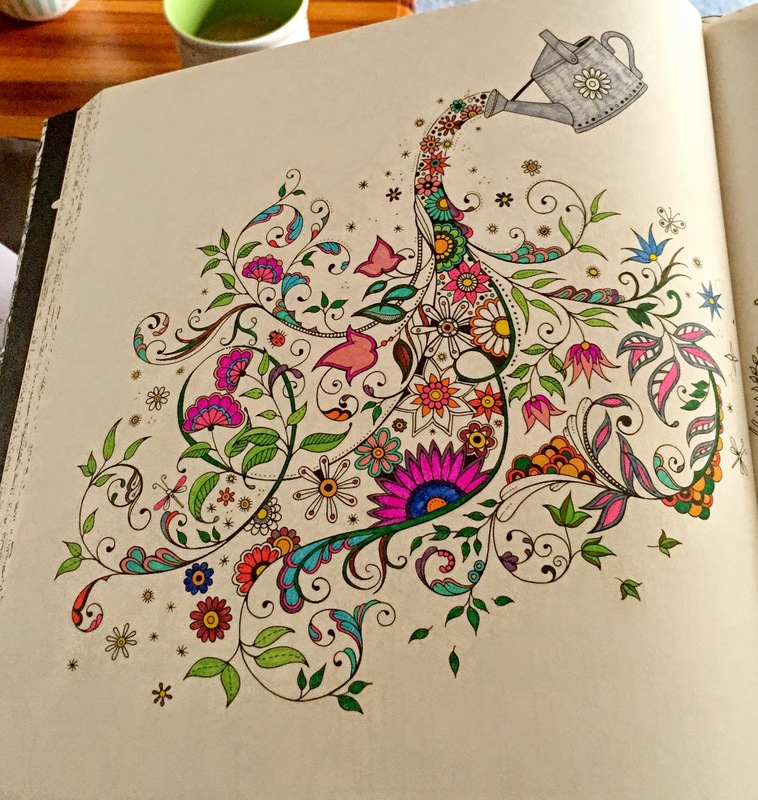 This book is amazing, I personally love colouring and the whole thing is so interesting! 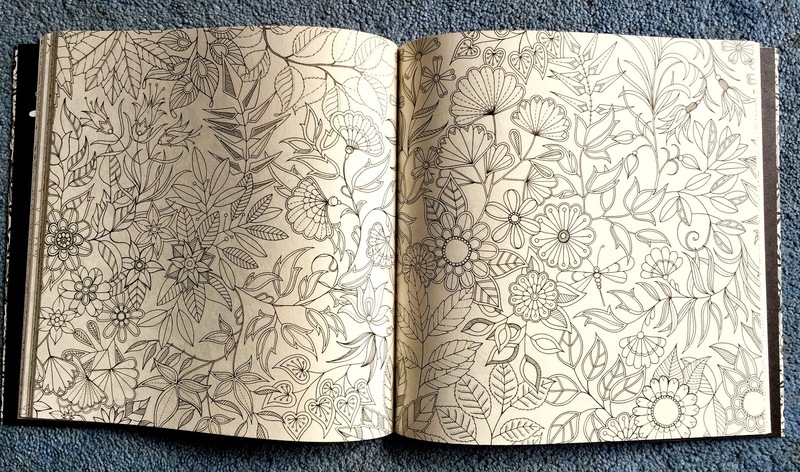 It is pretty much an adult/teen colouring book! There are pictures to add to, items to find. 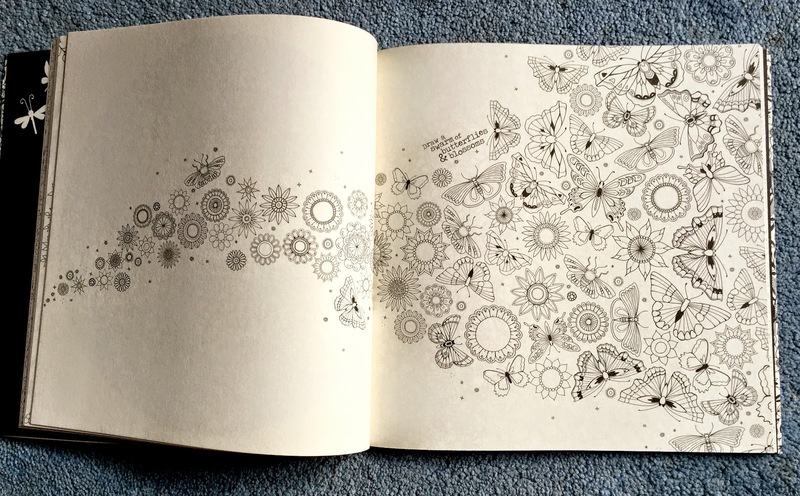 Every single page has so much detail and the pictures are stunning to say the least, even on the inside of the book's cover it is patterned for colouring! Of course me being an extreme stationary fan, this only meant one thing, I had to go out and get all new pens and pencils for colouring! 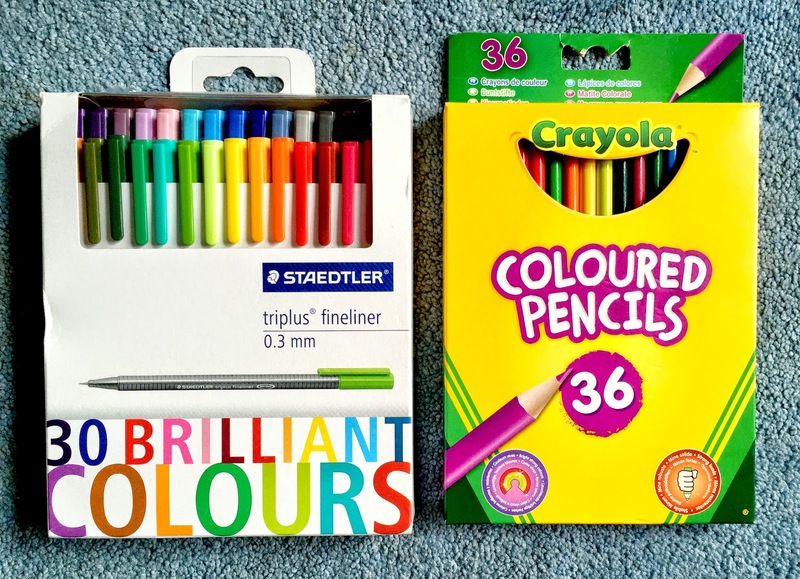 :) I brought these because everyone loves a fresh box of sharp crayola pencils (or is that just me) and I needed a very fine set of pens to go with them as well for the tiny details! I thought I would show you what I have done so far. I started of on a completely random page that I just decided that I really liked. I used the fine pens to colour with as I loved how bold the colours were with them. I haven't finished it yet but this is what I have done. The coloured details are amazing!